I went outside hoping to see some fireflies — only saw 1 flit by the treetops. 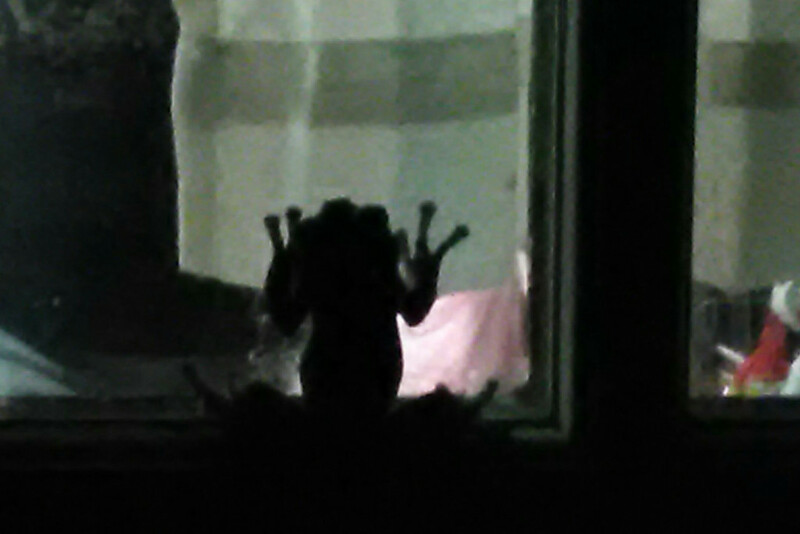 But when I turned to go back in, I found a frog on the door! 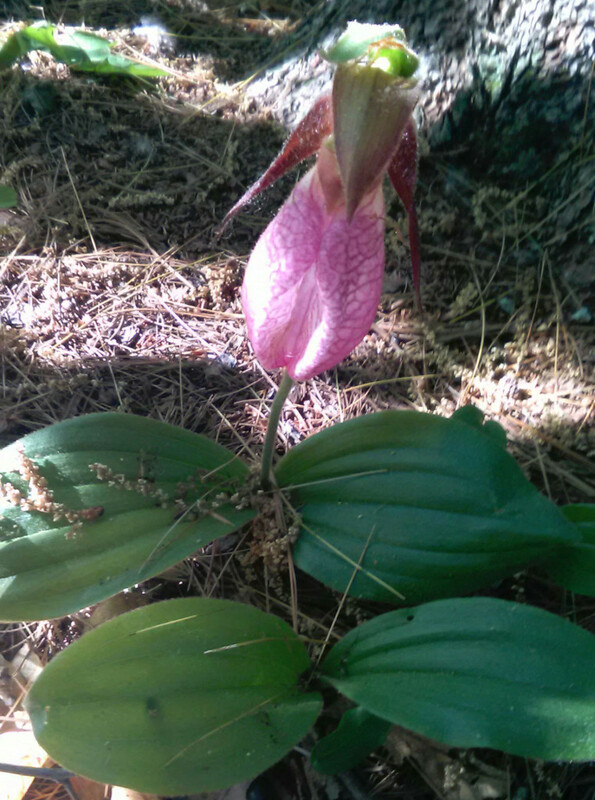 The pink ladyslipper in the woods out back bloomed recently. I saw 3 flying squirrels tonight! I didn’t get to see them glide, but they sure moved quickly up and down the tree and across to the one next to it. 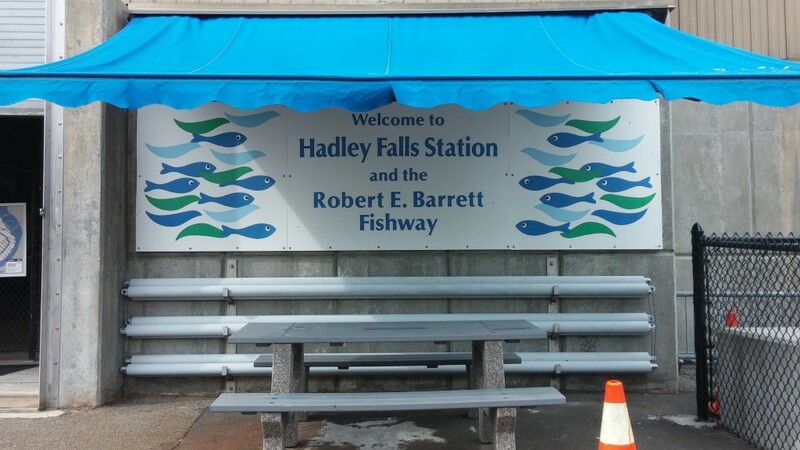 I visited a fishlift with my friend Anne on Holyoke’s Infrastructure Day last month. 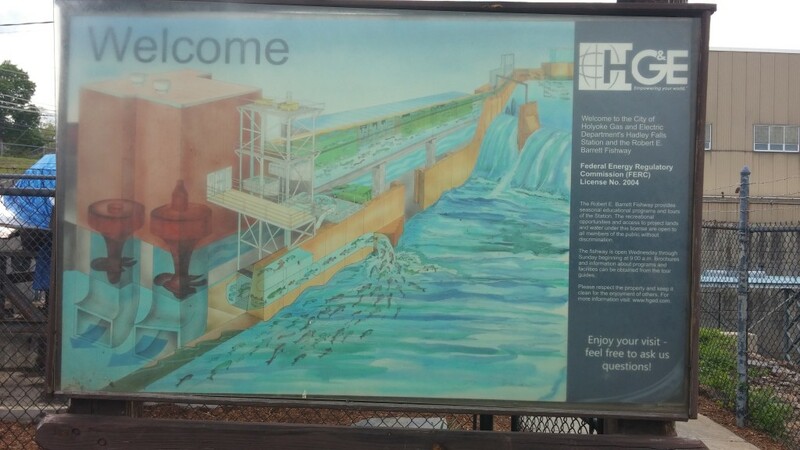 The fishlift gives fish an elevator ride so they can get past Holyoke’s municipally-owned hydroelectric dam on their way upstream to spawn. 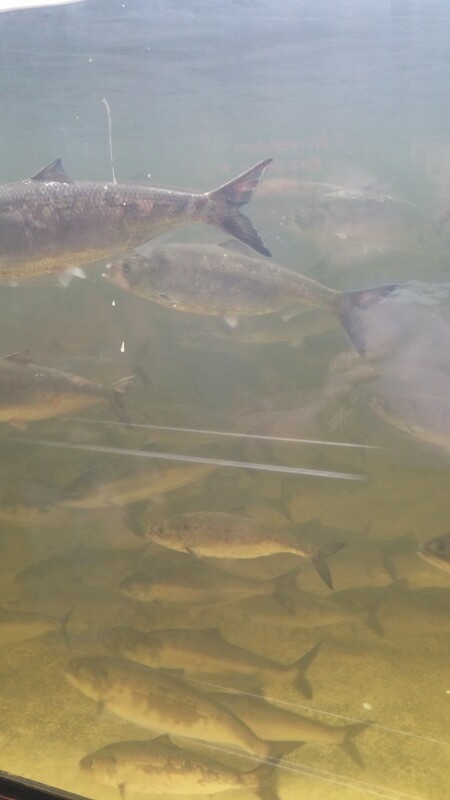 You can see how the fish might have a problem without the lift. 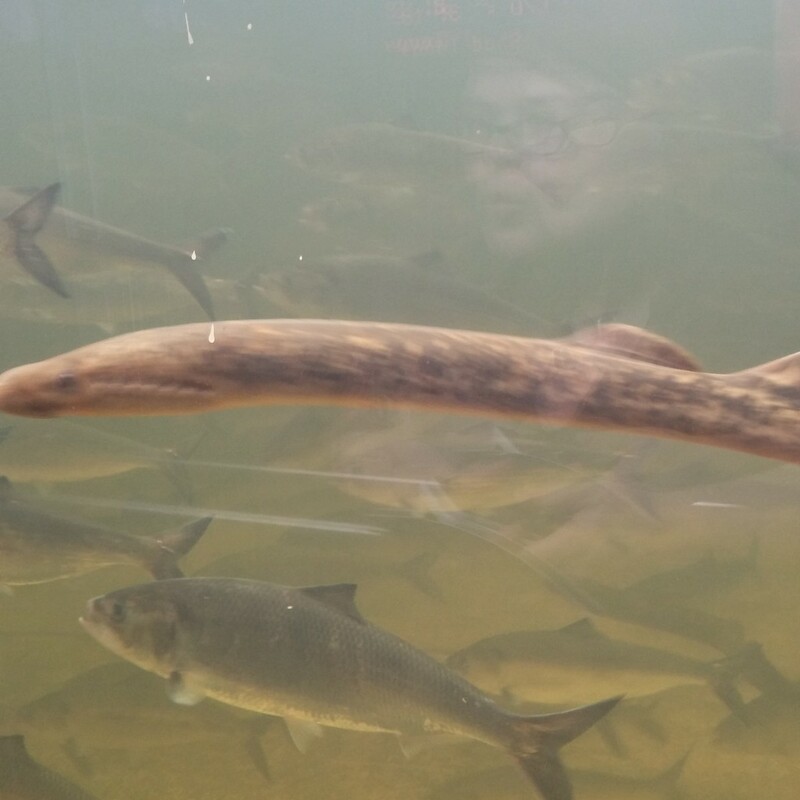 And sometimes a sea lamprey zipped by! We listened to “Fish” by Mr. Scruff as we drove away to further adventures. What we have here today are photographs of what Colin believed to be “bunny rabbits”, a creature that surprisingly many people believe in. 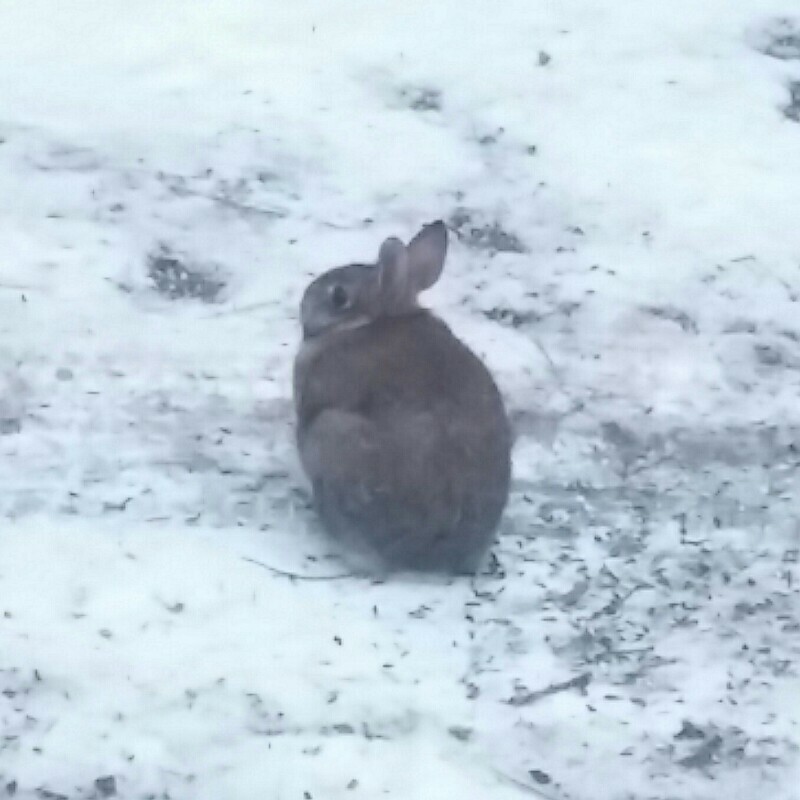 For those who may not have heard of them, bunny rabbits are supposed to be like a cross between a mouse and a frog, but much bigger than either, with strange elongated ears like antennae. They have a reputation as the bane of gardeners, with a voracious appetite for vegetable crops (especially carrots, for some reason) and a virus-like rate of reproduction. Stories about bunny rabbits have been with us from time immemorial in many places around the world. 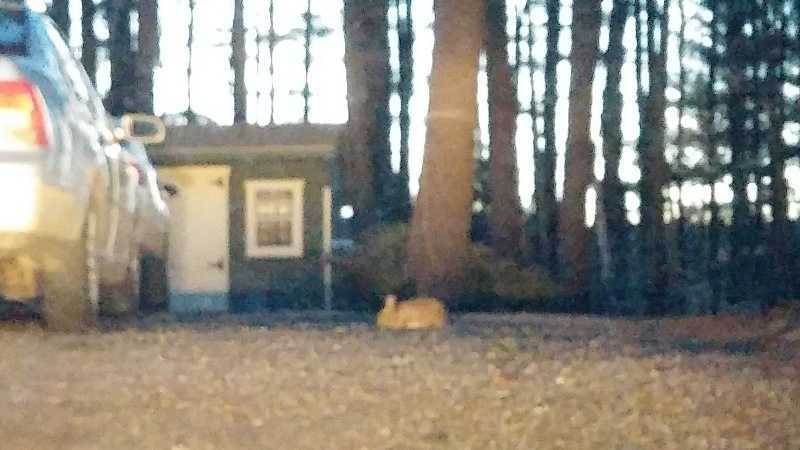 Proponents of bunny rabbit theories use this fact to bolster their claims, but of course there are plenty of old stories about things that aren’t real. Often these reflect some sort of universal experience or common societal concern. In the case of the bunny rabbit, their crop-devouring symbolizes our anxiety about the destructive whims of nature. Their rampant fecundity connects to that (tapping into the same fears of epidemic plagues that zombies do), and to our culture’s repressive attitudes toward sexuality. But with so many stories about them, it is inevitable that some people are prepared to think they have seen bunny rabbits. These reports can be hard to debunk because there is usually little evidence to work with, but when a determination can be made it is not unusual to find that the witness has merely misidentified a groundhog. Could these be bunny rabbits? This photo is pretty typical in that regard; it is blurry enough that no one can say for sure what it shows. I can’t make any positive identification from such an image, but if I had to guess I’d say we are looking at some large snails. 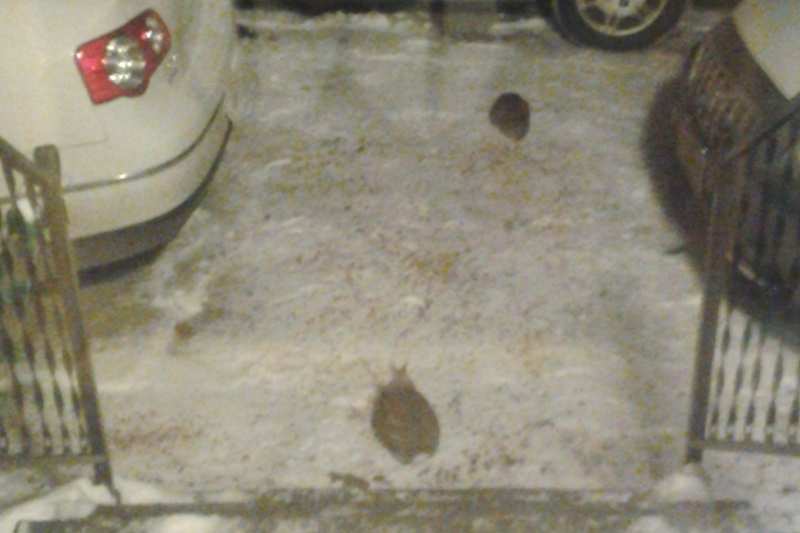 Colin thought the “bunny rabbits” were foraging for birdseed in his driveway, but this is clearly incorrect; the driveway is paved with gravel. Birdseed is found in bird feeders and is not used as a paving material. This creature appeared in the heart of a bustling town. 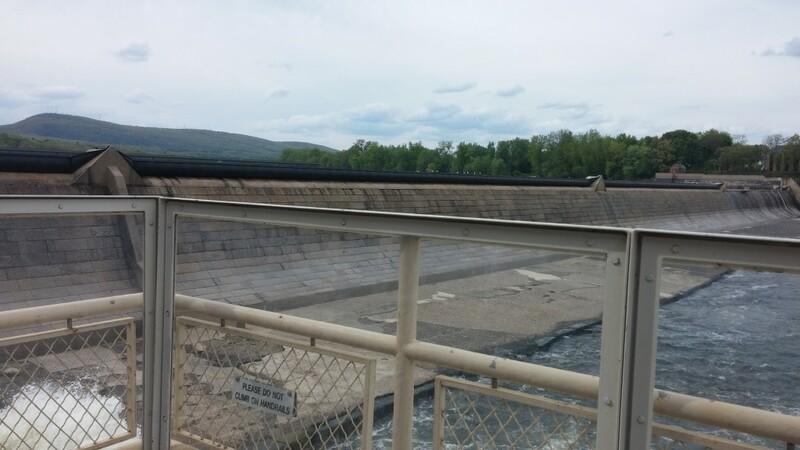 This next photo was taken on the rail trail in Northampton, MA. 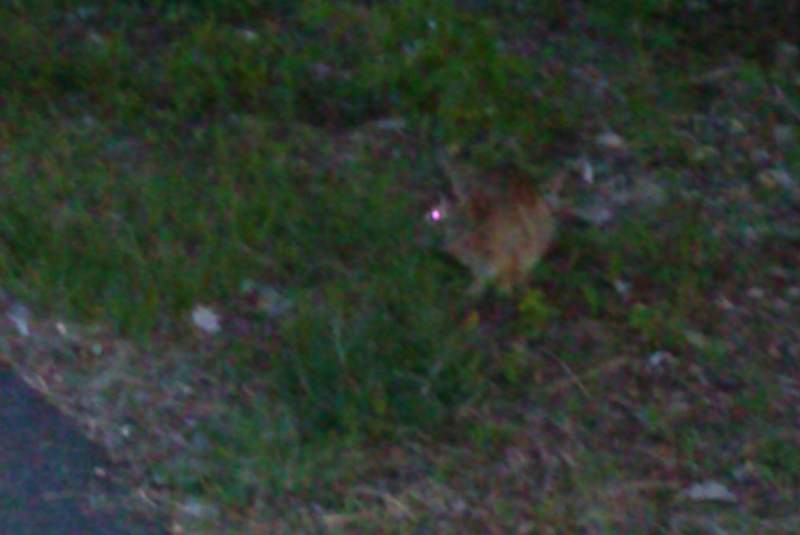 Again, the blurriness makes positive identification impossible, but look at the eyes in this one. There is no mention of glowing magenta eyes anywhere in global bunny rabbit lore, so clearly we are looking at something else. Most likely it’s a mischievous goblin or imp, or a secret government cyborg designed to play on people’s mistaken beliefs for some unknown reason. It could also possibly be a UFO alien or some kind of spirit. I hope you have found this informative and interesting, and that it has helped clear up some erroneous beliefs. I’d like to thank Colin for inviting me to share my knowledge. 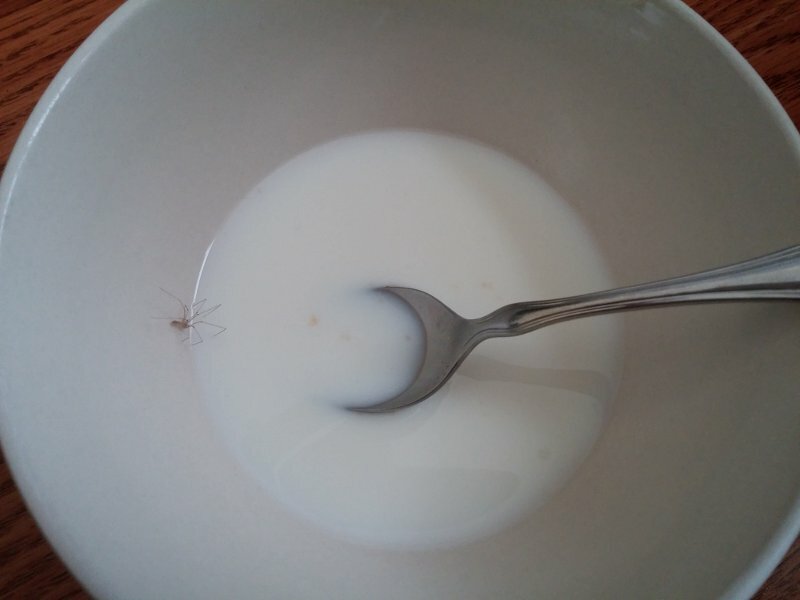 I…didn’t know that spiders like milk. 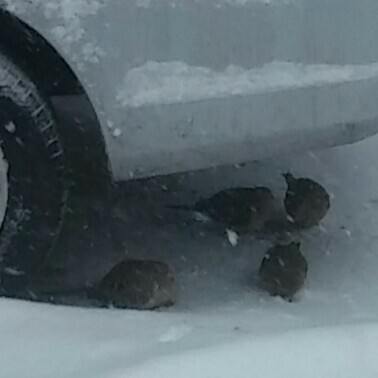 Fat birds taking shelter from the snowstorm under my car. A man walks past some shops. He walks a muddy path through tall rushes. SPLASH! The man looks right, then walks off the path toward a place above some water. Two distant shapes are swimming. “Ah, dogs,” he thinks. 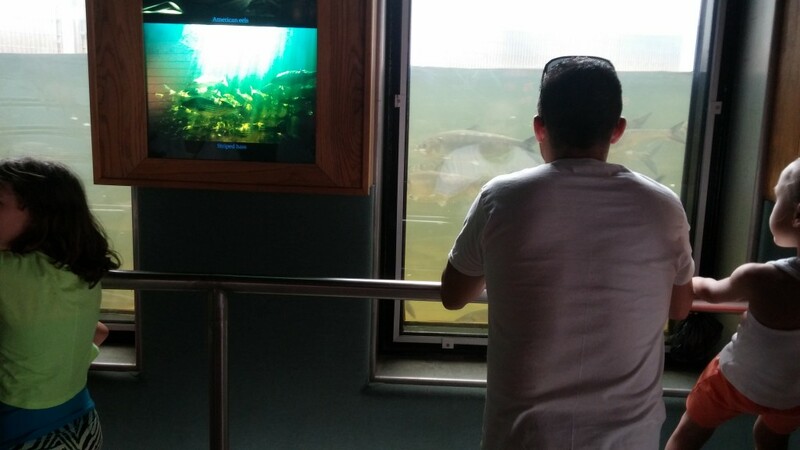 As he watches them, he thinks, “They look kinda wolfy…I don’t see an owner anywhere…”, then continues to watch them quietly. This is the first page of the comic I drew yesterday at Weeks State Park in Lancaster, NH as part of the 8 Days of Weeks White Mountains Cultural Festival. Marek Bennett and I enticed passerby into drawing comics about the woods, the mountains, their experiences in the White Mountains National Forest, etc. – and fairness (and fun) demanded that we draw some too. I’ll post the other page later this week. 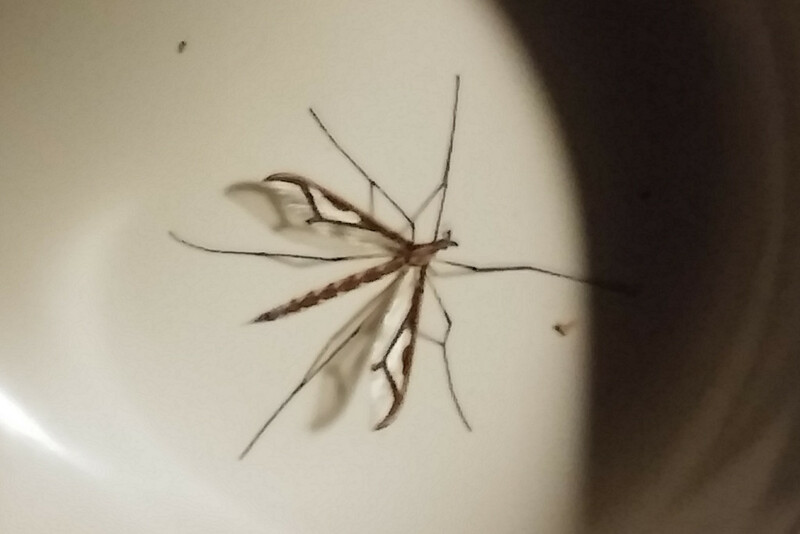 Apparently the local wildlife can sense that this house is about to be uninhabited and are eager to take over, because we have been discovering increasingly larger critters in here. The carpenter ants are long-time residents, but lately we’ve had more & weirder bugs, culminating in the earwig I found under my pillow. (note: earwigs do not belong under my pillow!) Then we discovered a bold little mouse living in our kitchen. Most recently, my housemate found a snake in her wall (it had gotten stuck to some plastic covering a hole). If only we could direct the snake to the mouse! Anyway, it’s a good thing we’re leaving soon, because clearly this process will end in coyote, bear, and moose roaming the house. Today I noticed a spider drop down from my desk to the floor. Fine enough, but then a little later I suddenly noticed it on my keyboard, which I was using. I don’t know how it got there without me seeing it, but when I tried to shoo it off, it crawled under the keys! That’s a bad place for spiders! They could easily be killed by my typing, which night also break my keyboard, making all of us unhappy. I switched to the keyboard on my computer (I normally use an external one at home), and eventually the spider came out and I shooed it onto the floor.